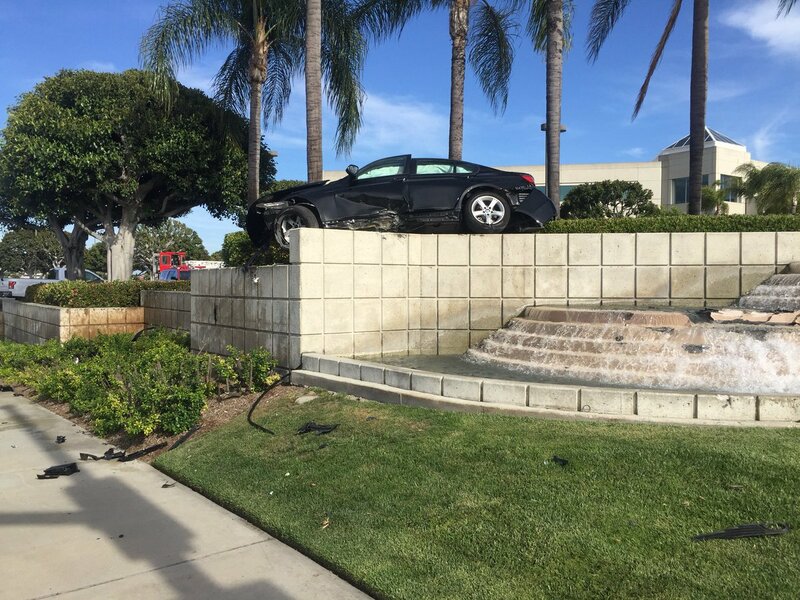 A motorist was removed from their car by firefighters on Saturday after a crash near the Long Beach Airport that resulted in the vehicle coming to rest on top of a water fountain. The Long Beach Fire Department (LBFD) responded to the crash on Saturday, May 5 at 4:49PM at East Spring Street and Kilroy Airport Way. “Crew members extricated the driver of the vehicle and transported them to a local hospital with unknown injuries,” LBFD officials said. Authorities did not say what caused the crash or if any other vehicles were involved.